Car ownership across the globe has been rising steadily and strongly over the years, the economic condition of the world and the high prices of fuel notwithstanding. As aspirations and incomes grow in tandem, more people are buying cars now than at any other time in the history of mankind. Some of the world's biggest car markets are now located in Asia: China, India, Japan . . .
During the last decade-and-a-half, the number of cars in the world has almost trebled as private ownership of passenger vehicles has risen impressively. As the world becomes more and more motorised, let us take a look at nations with the highest number of cars per every 1,000 citizens. But before that here's how India and China, the biggest car markets in the world today, fare on this count. (All data from Frederick S Pardee Center for International Futures). Image: The world is getting more and more motorised. Even though the Indian automobile sector has been experiencing a slowdown over the last couple of months, it has been a major success story for the country. Vehicle sales have been at all time highs, barring in the last two months, as more and more Indians buy more and more cars on the back of a robust disposable income, easy loans and a variety of automobiles to choose from. However, despite the booming economy most of the country still remains shackled in poverty. The nation now has 18 cars per 1,000 citizens. The Indian economy is currently the 12th largest in the world. That is, India's gross domestic product stands at $1.217 trillion. However, in terms of purchasing power parity, India is the world's fourth largest economy. Its GDP in purchasing power parity terms is at $3.388 trillion. 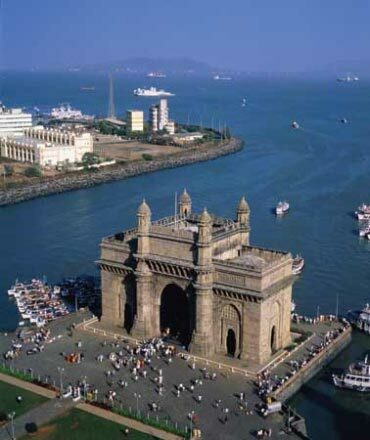 India is the one of the world's fastest growing economies, yet its annual per capita income remains low at $1,070. That puts the country in the 163rd spot. Asian powerhouse China is the world's second largest economy with a GDP of $5.574 trillion; but in purchasing power parity terms it ranks second at $7.903 trillion. China is the largest vehicle producer of the world. In November 2009, China became the largest automobile market on earth. It boasts of 53 cars per 1,000 citizens, but does not figure in the top 25 nations with the highest number of cars per capita. It is the world's fastest growing major economy and its massive acquisition spree has taken the world by a storm. China's per capita income stands at $2,940 per year, placing it in the 127th spot. Cypriots rule the roost when it comes to car ownership, it would seem. Reports say that Cyprus has the largest number of cars per 1,000 people in the world: a phenomenal 753 cars for every 1,000 persons! 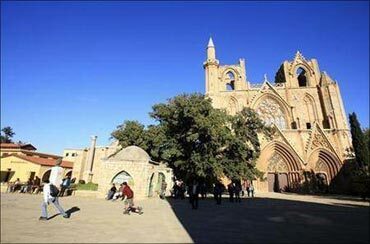 The tiny nation of Cyprus, one of the only four members of the European Union where people drive on the left hand side of the road (like in India), has a market economy, with the service sector accounting for over three-fourths of the nation's GDP. Major revenue generators for Cyprus also include the areas of tourism and financial services. Iceland's economy is contracting and public confidence in financial institutions is exceptionally low. Its infrastructure supports innovative activity and public perceptions of business opportunities are positive. However, the nation has the second largest number of cars per 1,000 people, at 736. Its democracy is effective and well-regulated, but the government remains unpopular. Its education system ensures high enrolment rates and a well-educated workforce. Iceland's banking collapse was the largest suffered by any country in recent times. The national currency's value has dipped sharply, and the market capitalisation of the Icelandic stock exchange has dropped by more than 90 per cent. Iceland's external debt now stands at over Euro 50 billion, more than 80 per cent of which was held by the banking sector. 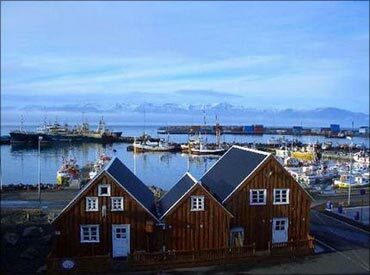 Iceland is still reeling under a severe economic recession. The economy of Luxembourg is largely dependent on the banking, steel, and industrial sectors. Luxembourgers enjoy the second highest per capita gross domestic product in the world, behind Qatar, and have 730 cars per 1,000 citizens. Luxembourg is seen as a diversified industrialized nation. 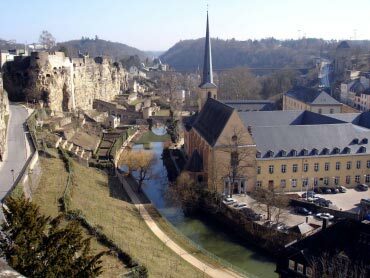 Luxembourg, with a per capita income of $80,304, is one of the richest nations. It has highly developed industrial and financial sectors. On an average, workers in Western European cities receive more than three times the pay of their colleagues in Eastern Europe. 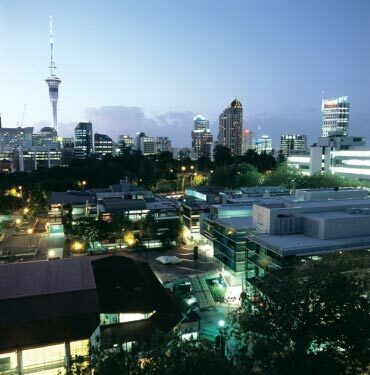 New Zealand has a market economy which is greatly dependent on international trade, mainly with Australia, the European Union, the United States, China, Japan and India. It has only small manufacturing and high-tech sectors, being strongly focused on tourism and primary industries like agriculture. The world largest economy, United States has a capitalist mixed economy, with abundant natural resources, a well-developed infrastructure and high productivity. In 2010, 7.80 million automobiles were manufactured in the United States of America, making it the world's third largest car producer, behind China and Japan. According to the International Monetary Fund, the US GDP of $14.4 trillion, constitutes 24 per cent of the gross world product at market exchange rates and almost 21 per cent of the gross world product at purchasing power parity (PPP). The country has highly developed sectors, like banking, financial services, automobile, agriculture, manufacturing, energy, etc. Australia is the world's thirteenth largest economy and has the eleventh highest per capita GDP; higher than that of the United Kingdom, Germany, France, Canada and Japan. 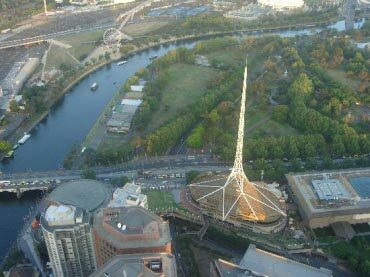 Almost 68 per cent of the Australian economy is dominated by its service sector. It ranks high in Human Development Index and Prosperity Index. Italy's economy has seen one of the lowest growth rates in the world. A very high public debt highlights the fact the country cannot repay back its debt. The country lacks the resources to accelerate growth. It has an outstanding debt of $2.7 trillion. The per capita debt works out to more than $37,000 and the debt as in percentage of GDP is about 108 per cent. 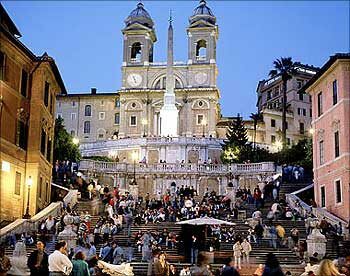 Italy, one of the global powerhouses of automobiles, is actually the world's 18th largest producer of cars. It is home to legendary auto companies like Fiat, Alfa Romeo, Maserati, Ferrari, Lamborghini, etc. In the year 2010, Italy produced 840,642 cars. France produced 1.90 million cars in 2010. It is the world's 9th largest car maker. 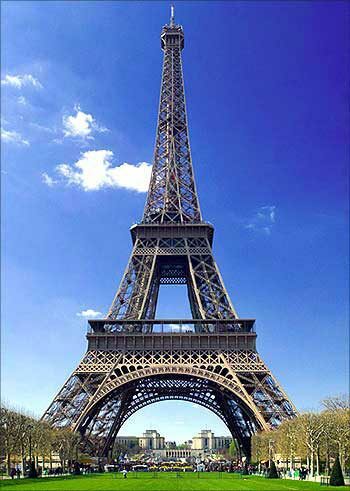 France is the world's fifth-largest and wealthiest economy. It is the second-largest economy in Europe (behind its main economic partner Germany). France's economy entered the 2008-2009 recession later and left it earlier than most comparable economies, only enduring four quarters of contraction. But now there are fears that its economy too might be in the doldrums. Like most nations in Europe, France too is in the throes of a financial maelstrom. 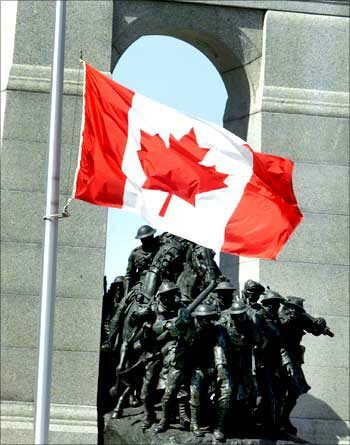 Canada has the ninth largest economy in the world (measured in US dollars at market exchange rates), is one of the world's wealthiest nations, and is a member of the Organization for Economic Co-operation and Development and Group of Eight. With an annual car production of close to a million and a half, Canada is the world's 11th largest automobile maker. In 2010, it produced 1.102 million cars. As with other developed nations, the Canadian economy is dominated by the service industry, which employs about three quarters of Canadians. Canada is unusual among developed countries in the importance of the primary sector, with the logging and oil industries being two of Canada's most important. Canada also has a sizable manufacturing sector. 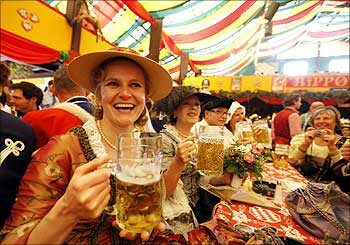 Germany is the largest national economy in Europe, the fourth-largest by nominal GDP in the world, and fifth by GDP. With a 2010 car production of 5.77 million units, Germany is the world's fourth largest car maker. Since the age of industrialisation, the country has been a driver, innovator, and beneficiary of an ever more globalised economy. Germany is the world's second-largest exporter with $1.120 trillion exported in 2010. 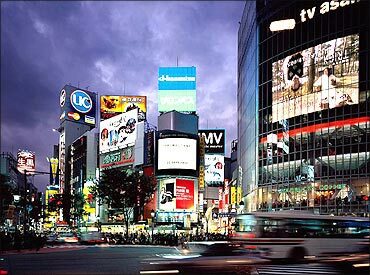 Japan has the world's third-largest economy by nominal GDP and by purchasing power parity. 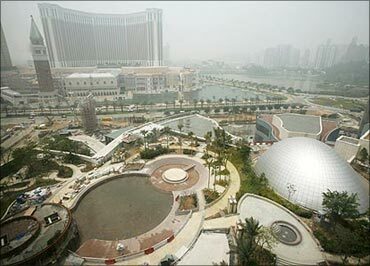 It is also the world's fourth largest exporter and fifth largest importer. The Japanese automotive industry is the second largest in the world. The nation produced 8,931,412 units of automobiles in 2010. Banking, insurance, real estate, retailing, transportation, telecommunications and construction are all major industries. Because of the country's small size and high labour specialisation, industry and trade are the keys to Switzerland's economic livelihood. 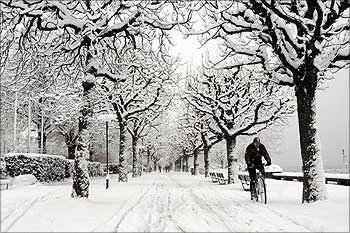 Austria is a highly industrialised nation with a strong labour movement. 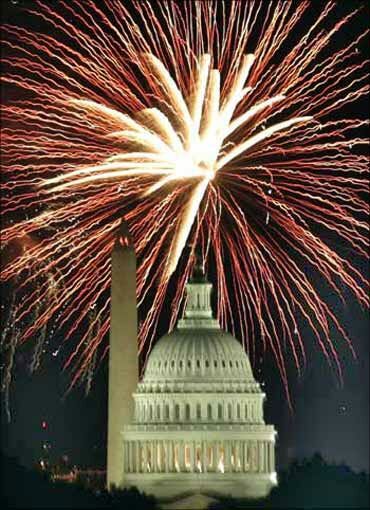 Tourism, industry and the services sector add to the nation's economy. 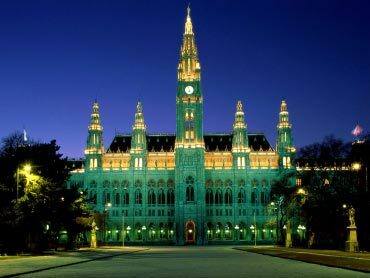 Austria is one of the richest countries in the world, with a nominal per capita GDP of $43,723 (estimated). The country was ranked 25th in the world in its Human Development Index. Austria has been a member of the United Nations since 1955. Norway has a mixed economy of state-owned businesses and a robust free market. It's a highly developed and an industrialised state. Fishing, petroleum, hydel power, minerals contribute heavily to the nation's GDP. Norwegians topped the UN's annual rankings of global wealth, health and education for the 8th time in 2010. It has a per capita GDP of $55,200. It has rich resources of gas fields, hydropower, fish, forests and minerals. Norway maintains a Scandinavian welfare model with universal healthcare, subsidised higher education and a comprehensive social security system. Spain has a debt of over $2.2 billion. The per capita debt works out to over $47,000, or 154 per cent of its GDP. 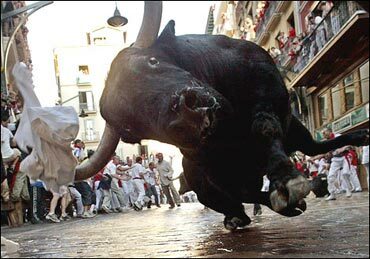 The crisis in Spain was aggravated by long term loans, realty sector crash, bankruptcy of major companies, and a huge rise in unemployment. Rating agencies have downgraded the debts of Spain and Portugal in addition to that of Greece. Spain's 20 per cent jobless rate is the highest in the developed world. Standard & Poor's lowered Spain's long-term sovereign credit rating to 'AA' from 'AA+'. There could be a further downgrade. 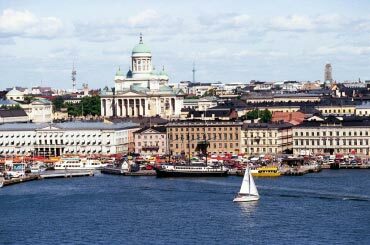 Finland has a highly industrialised, mixed economy with a per capita output equal to that of other western economies such as France, Germany, Sweden or the United Kingdom. The largest sector of the economy is services at 65.7 per cent, followed by manufacturing and refining at 31.4 per cent. 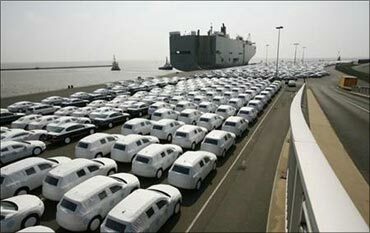 Belgium produced 545,091 automobiles in 2010, making it the world's 20th largest maker of cars. 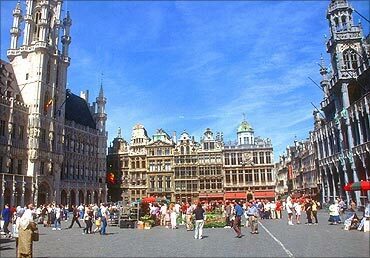 Belgium boasts of a high quality of life with excellent housing, health care, education and infrastructure. It is known for high productivity. The Belgian open economy has used its well developed transport network, its highly industrial and commercial base to grow at a rapid pace. 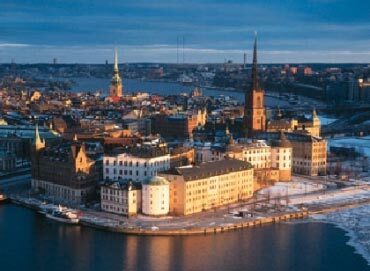 The economy of Sweden is a developed diverse economy, aided by timber, hydropower and iron ore. These constitute the resource base of an economy oriented toward foreign trade. The main industries include motor vehicles, telecommunications, pharmaceuticals, industrial machines, precision equipments, chemical goods, home goods and appliances, forestry, iron and steel. 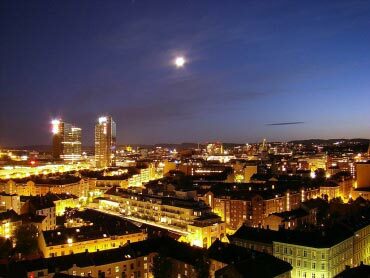 Sweden has a very well developed industry in sectors like engineering, telecom, power, automobiles, pharmaceuticals, etc. The nation's economy is heavily dependent on foreign trade. It also has a highly skilled work force. The United Kingdom is the 13th largest automobile producer in the world. Predominantly export-oriented, the British automotive sector employs close to a million people. In 2010, the country produced 1 million cars. The economy of the United Kingdom is the sixth-largest national economy in the world measured by nominal GDP and seventh-largest measured by purchasing power parity (PPP), and the third-largest in Europe measured by nominal GDP (after Germany and France) and second-largest measured by PPP (after Germany). The UK's GDP per capita is the 20th highest in the world in nominal terms and the 17th highest measured by PPP. it is a developed country, with the world's sixth largest economy by nominal GDP and eighth largest economy by purchasing power parity. It has a partially regulated free market economy. 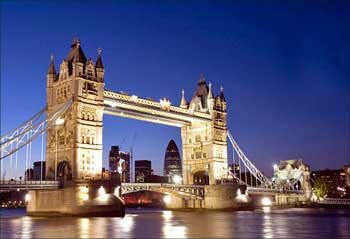 It is the third largest in Europe after Germany and France. Qatar is an oil- and gas-rich nation with world's third largest gas reserves. It has a per capita GDP of $103,500. 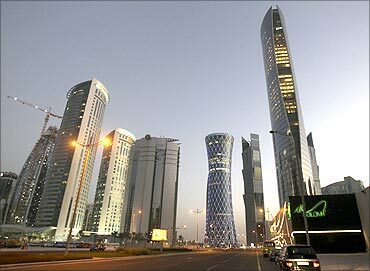 Qatar has experienced rapid economic growth over the last several years on the back of high oil prices, and in 2008 posted its eighth consecutive budget surplus. Qatar's oil and gas still account for more than 50 per cent of GDP, roughly 85 per cent of export earnings, and 70 per cent of government revenues. Greece is going through its worst years. Uncontrolled spending and cheap lending has seen its debt levels zoom to scary heights. Its debt is at over $540 billion, almost 160 per cent of its GDP. Also, the failure to implement financial reforms has resulted in losses of $413.6 billion, much larger than the country's economy. Greece and Ireland have the highest poverty rate in the 15-member EU, while Sweden has the lowest at 9 per cent. Greece's downfall had been scripted deftly by its governments. From one of the fastest growing economies in the Eurozone during the 2000s, Greece has now become the main culprit for this financial crisis. 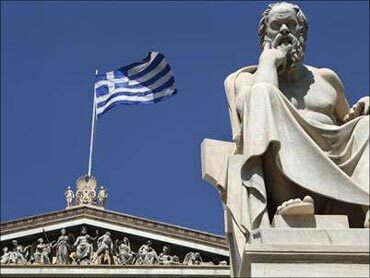 In May 2010, the Greek government deficit was estimated to be 13.6 per cent of its GDP, one of the highest in the world. Portugal's economy has posted an average annual growth of less than 1 percent over the past 10 years. The country faces a huge foreign debt owning to reckless spending without generating any returns. 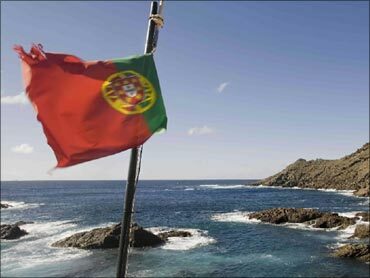 Portugal is set to introduce austerity measures including tax hikes and pay cuts. Its debt is at $490 billion, which is 210 per cent of its GDP. Portugal is facing a severe crisis. According to bond markets, Portugal is the riskiest country in the Eurozone. The country's public debt was at 77 per cent of its GDP last year and the budget deficit at a shocking 11.4 per cent of GDP. The EU's debt crisis could spill over into banks in Portugal, Spain, Italy, Ireland and the UK, according to Moody's. 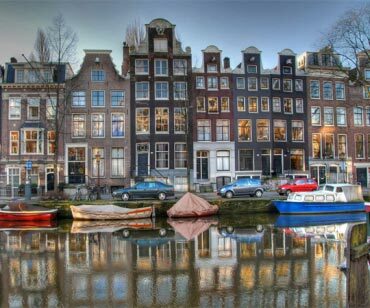 The Netherlands has a prosperous and open economy, which depends heavily on foreign trade. It is the world's 16th largest economy, which is mostly driven by manufacturing, tourism, and services. The economy is noted for stable industrial relations, fairly low unemployment and inflation, a sizable current account surplus, and an important role as a European transportation hub. 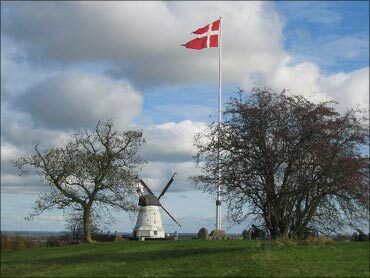 Denmark has a highly industrialised economy, with robust agricultural and corporate sectors. Despite being one of the most competitive nations, it has a very weak financial regulatory system. Also, its labour laws are very lax and tilted heavily in favour of the employers. It's per capita income stands at $36,764 per annum. With very few natural resources, the economy of Denmark relies almost entirely on human resources. The service sector makes up the vast amount of the employment and economy. Its industrialised market economy depends on imported raw materials and foreign trade. Within the European Union, Denmark advocates a liberal trade policy. Its standard of living is average among the Western European countries - and for many years the most equally distributed. Kuwait has the world's fifth largest oil reserves and among the world's highest per capita incomes at $38,293 pre annum. The Kuwait Stock Exchange, which has about 200 firms listed, is the second-largest stock exchange in the Arab world. Petroleum and petroleum products now account for nearly 95 per cent of Kuwait's export revenues, and 80 per cent of government income. 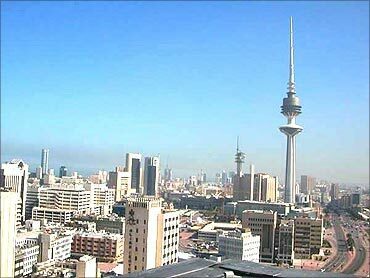 Kuwait is regarded as one of the most economically developed countries in the Arab League.